When life gets hectic (like right now...), here's what you need. Or at least what I need. 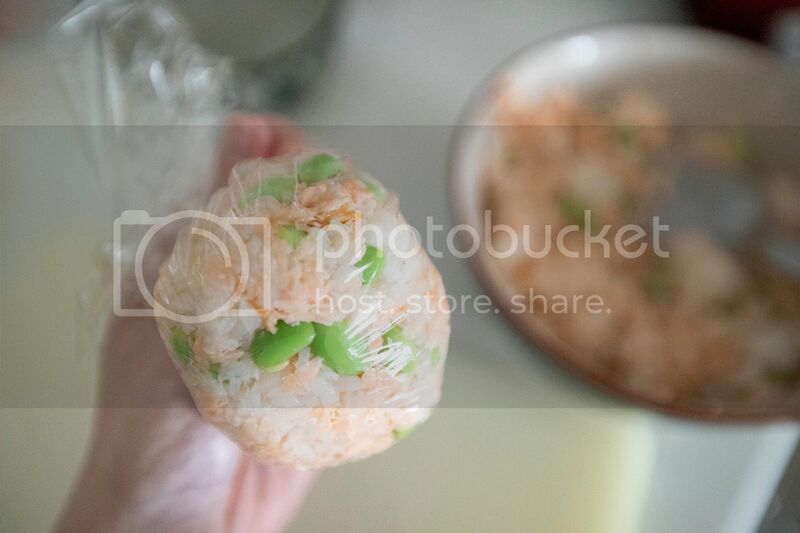 Ingredients (about 3 to 4 rice balls)? Either use store-bought salmon flakes or start from scratch. If cooking the salmon from the beginning, season the fish with some salt on both sides. Let it marinate for about 5 to 10 minutes. Prepare a pan, nonstick preferable. Drizzle some olive oil and turn to medium high heat. Once the oil gets warm, transfer the salmon over and sear till colored on both sides, make sure the fish is fully cooked. Remove from heat and wait till it cools enough to handle by hand, then tear into smaller pieces. 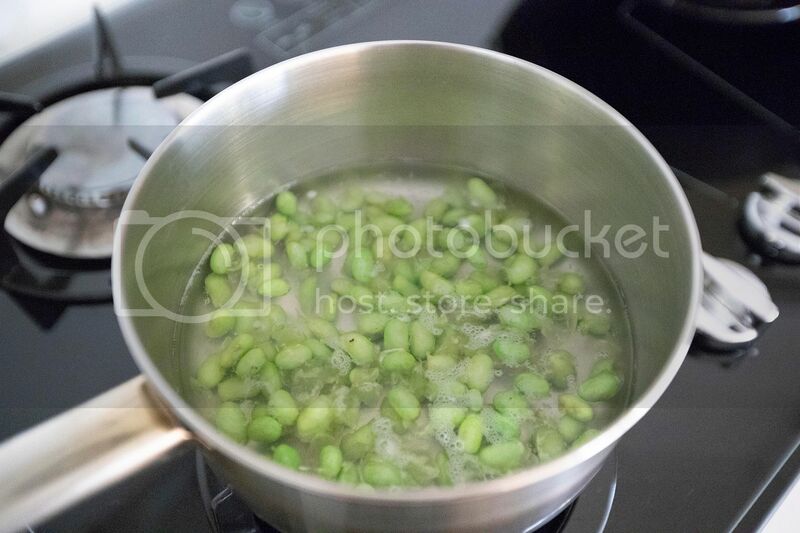 Bring a small pot of water to a boil and blanch the broad beans. Remove that outer skin and set aside. Mix the broad beans with salmon flakes and cooked rice. Taste and see if need to further season with additional salt. 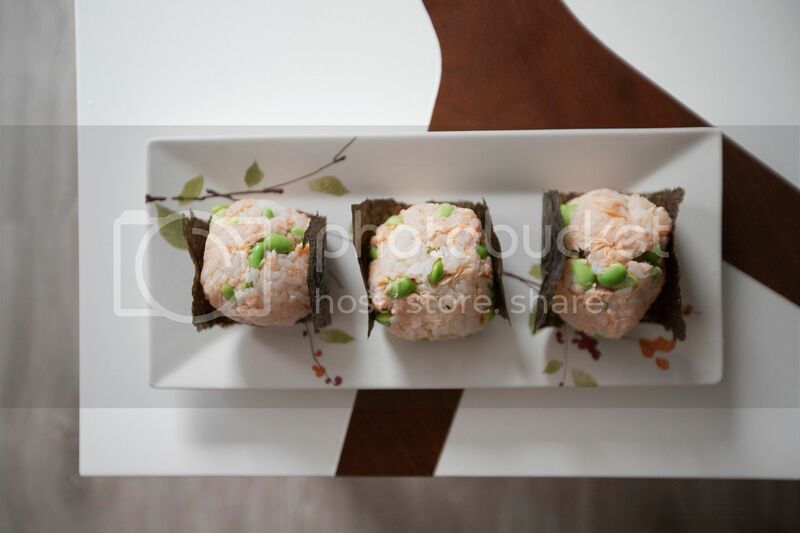 Cut the nori sheet into suitable size, just big enough to wrap the rice balls. Lay down a sheet of cling foil, scoop some rice mixture to the center and grab all four corners of the the foil, hold on tight to form a small ball. Squeeze slightly, make sure the rice are sticking together and will not fall apart once removing the foil. 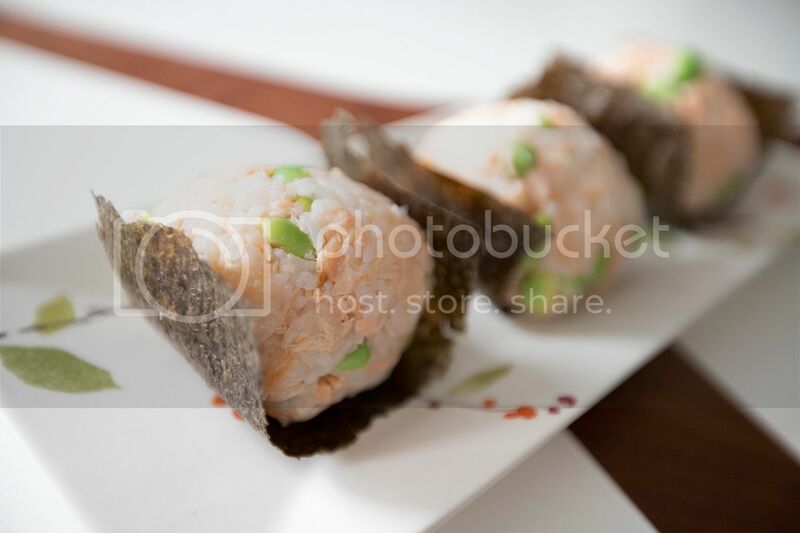 Wrap with nori sheet and eat right away. You can make it into triangular shaped too. Now, short break is over, it's time again to get back to that hectic life again. Vacation time needed seriously.